Just that little festive reminder that the postal service is at it's busiest ever at Xmas and already feeling the weight of extra customers and thus items take longer to be delivered. For the record our last posting date to receive items before Xmas (UK only) is Weds 19th December. So get orders in before then! This is in line with Royal Mail guidelines. Please note: Overseas sales is significantly earlier and orders placed after the 9th Dec will be subject to extra time and delays to arrive. We will continue to visit the post office as regularly as we can either side of a few days off and when it's open over the festive period. Also we provide a size guide on everything we release, this is to prevent needless returns and also any items reduced or in the sale are non-returnable. 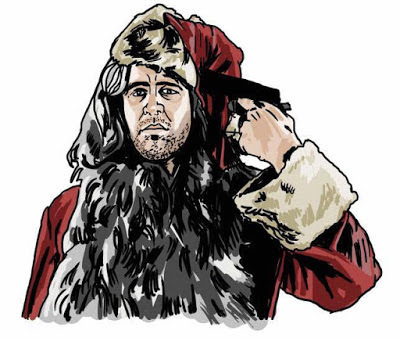 Other than that, please continue to keep an eye out for new release updates on here and the socials and if we don't say it again, even though it's early, have a good Christmas and be nice to each other. EL MONO II - 4/4.